The WHO deems "vaccine hesitancy" one of the top 10 "threats to global health." The World Health Organization (WHO) has named people who oppose vaccination among the top 10 "threats to global health" this year. "Vaccine hesitancy -- the reluctance or refusal to vaccinate despite the availability of vaccines -- threatens to reverse progress made in tackling vaccine-preventable diseases," such as measles, polio and cervical cancer, the WHO, the global public health arm of the United Nations, said in a list released this week. "Vaccination is one of the most cost-effective ways of avoiding disease," the WHO said. "It currently prevents 2 to 3 million deaths a year, and a further 1.5 million could be avoided if global coverage of vaccinations improved." (Junior Kannah/AFP/Getty Images) Nurses working with the World Health Organization (WHO) administer the Ebola vaccine to a local doctor at the town all of Mbandaka, Democratic Republic of Congo, May 21, 2018 during the launch of the Ebola vaccination campaign. 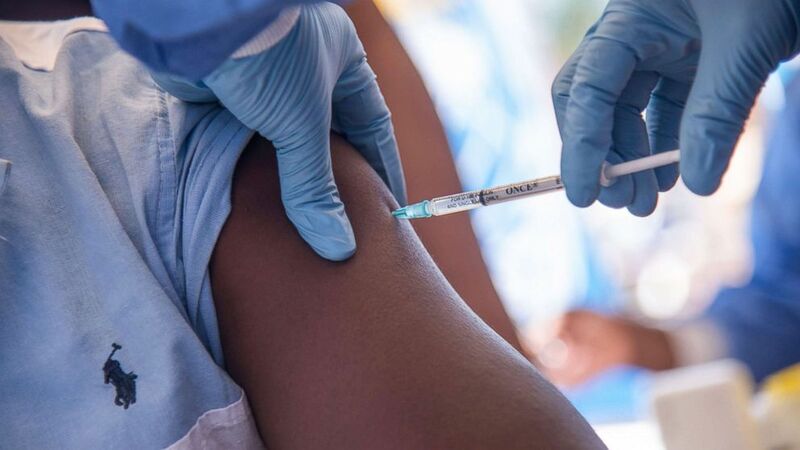 Vaccine hesitancy is a complex global issue; but complacency, inconvenience in accessing vaccines and lack of confidence are the key underlying reasons, according to a vaccines advisory group to the WHO. An estimated 100,000 young children have not been vaccinated against any of the 14 potentially serious diseases for which vaccines are recommended, according to a report by the U.S. Centers for Disease Control and Prevention (CDC) published in October. Although most children are routinely vaccinated, the number of children who have received no vaccines by age 2 has been gradually increasing. The ?? is facing multiple health challenges. The WHO has vowed to ramp up work this year to eliminate cervical cancer worldwide by increasing coverage of the human papilloma virus (HPV) vaccine. The agency said 2019 may also be the year when transmission of wild poliovirus stops in Afghanistan and Pakistan, which are two of only three countries in the world where the highly infectious disease remains endemic and which have come agonizingly close to zero cases. Meanwhile, polio has been eradicated in the United States since 1979 due to widespread vaccination nationwide, according to the CDC. 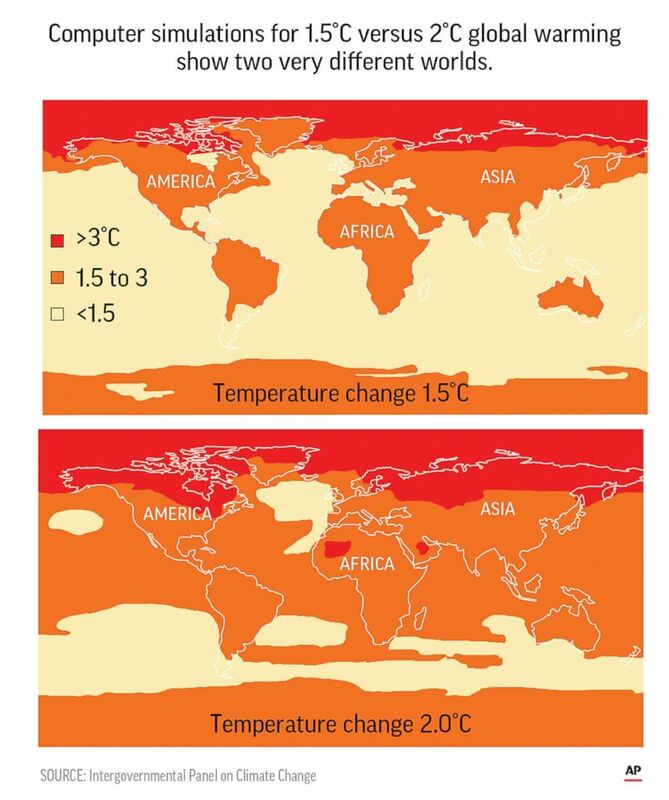 (AP) Climate-related risks to health, livelihoods, food security, water supply, human security and economic growth are projected to increase with global warming. The WHO also deemed air pollution and climate change another top threat to global health this year. Nine out of 10 people breathe polluted air every day, according to the agency, which said it considers air pollution "the greatest environmental risk to health" in 2019. Microscopic pollutants in the air can penetrate the lungs and enter the blood stream, damaging the lungs, heart and brain. An estimated 7 million people die prematurely each year due to exposure to these fine particles in polluted air that lead to diseases such as cancer, stroke, heart disease and lung disease, according to the WHO. "Around 90 percent of these deaths are in low- and middle-income countries, with high volumes of emissions from industry, transport and agriculture, as well as dirty cookstoves and fuels in homes," the agency said. The main cause of air pollution -- the burning of fossil fuels -- is also a major factor in climate change, which is detrimental to people's health as well. "Between 2030 and 2050, climate change is expected to cause 250,000 additional deaths per year, from malnutrition, malaria, diarrhoea and heat stress," the WHO said. 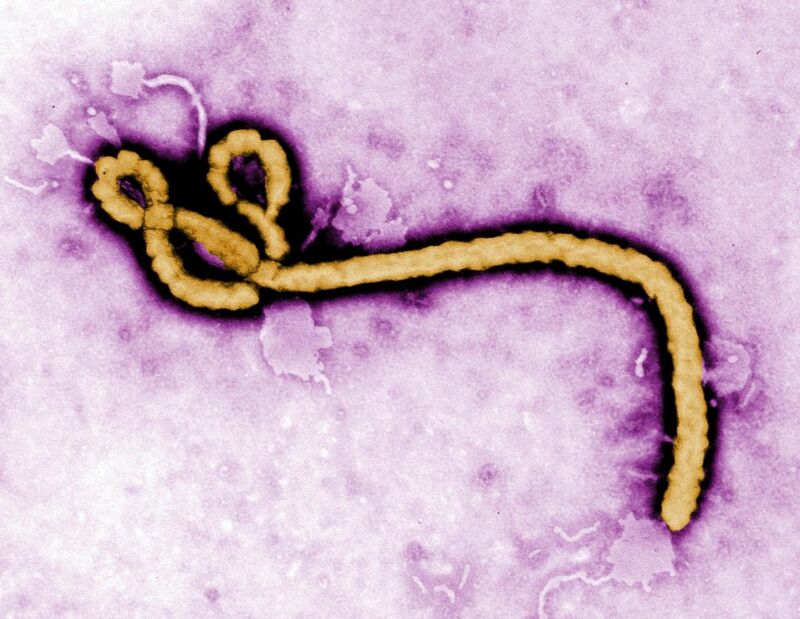 (Frederick Murphy/CDC via AP, FILE) An Ebola virus virion is pictured in this undated colorized transmission electron micrograph file image made available by the CDC. Ebola virus disease, which causes an often-fatal type of hemorrhagic fever, was also on the WHO's list of 10 threats to global health in 2019. The Democratic Republic of Congo saw two separate Ebola outbreaks last year that both spread to major cities. The second outbreak began in August in the eastern part of the nation, just a week after one in the country's west was declared over. The latest outbreak is ongoing and has become the second-largest, second-deadliest Ebola outbreak in history. One of the outbreak's hot spots where people are infected is in an active conflict zone. "This shows that the context in which an epidemic of a high-threat pathogen like Ebola erupts is critical," the WHO said. "What happened in rural outbreaks in the past doesn’t always apply to densely populated urban areas or conflict-affected areas."